The Mandatory payout of Gulfstream Park's 20-cent Rainbow 6 Saturday, which reached $8.2 million, returned $100,919.88 to multiple tickets with all six winners. It wasn't an easy ticket to hit. The Rainbow 6 got off to a surprise when Papa Y, a 50-1 longshot who had failed to hit the board in four previous tries, went gate-to-wire and returned $118. After the 12-1 longshot Trilby ($26.60) won the second leg, there were only 22,129 live tickets remaining. There was a $1,509,922 million carryover going into the day. 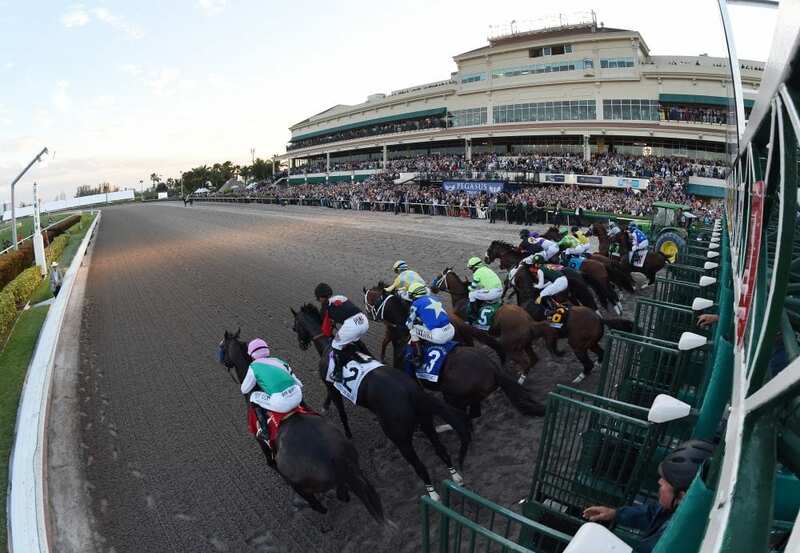 There was $6,754,787 of new money wagered Saturday. This entry was posted in Horseplayers, NL List and tagged Gulfstream, Handicapping, horseplayers, mandatory payout, Rainbow 6, Rainbow 6 carryover, Wagering, winner by Press Release. Bookmark the permalink.